The Yukon School of Visual Arts welcomes the public to an exhibition of work by this year’s graduating class of the Foundation Year Program. Works will be on display at the Odd Gallery (KIAC), the SOVA Art Gallery, as well as designated National Historic Site Buildings located throughout Dawson City. Presented as part of this exhibition, there will be three projects organized by SOVA faculty members Jen Laliberte, Charles Stankievech and Veronica Verkley. The final project for Jen Laliberte’s SOVA English course was to design, create and annotate a map that represented a concept of home—actual or imagined, tangible or conceptual. The goal was for the students to evoke place and space and challenge the traditional manifestations of geography. As such, we also challenged the traditions of display and installed the maps outside of the galleries. For the third year now, Jen has once again teamed up with Parks Canada to display the student maps in Klondike National Historic Site buildings in Dawson City’s centre. A map of these diverse sites is provided at the SOVA Gallery opening, so visitors can carve a multitude of paths en route to the ODD Gallery opening. For the 7th OVER THE WIRE project, SOVA students collaborate with the Los Angeles based Center for Land Use Interpretation (CLUI). Together CLUI and SOVA specifically turn their attention to the Klondike Region to understand “the nature and extent of human interaction with the earth’s surface… finding new meanings in the intentional and incidental forms that we individually and collectively create.” In order to carry out the project, SOVA Students have been broken up into interpretive groups and have analysed sites around the region looking through key filters to understand the history and current use of the landscape, such as Mining, First Nations, Tourism and Historical Sites. The exhibition is presented by the ODD Gallery and includes photographs, texts, maps, video projection and a free publication documenting 36 key locations. This year, for the Yukon SOVA 2011 year end student exhibition, the SOVA Gallery on the main floor of SOVA features work from faculty member Veronica Verkley’s 2-Dimensional and 3-Dimensional Studio courses. The work this year spans a wonderfully diverse array of media and approaches, including animations, mechanical constructions, paintings, prints, collage, exquisite corpse projects, metal work, textiles, animations, and works on paper. 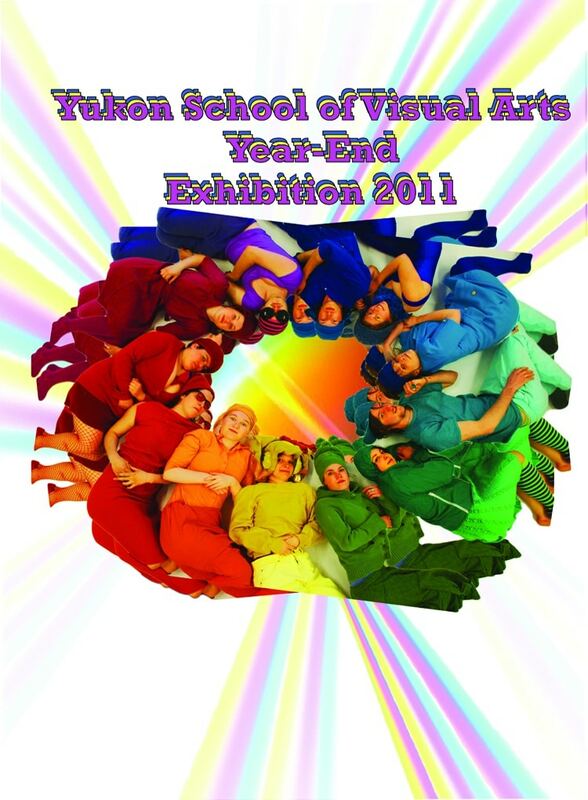 The exhibition encompasses work from 13 students produced during the whole school year.